Take the guess work out of food prep with a clever light ring which changes colour as you move through 4 speeds settings, each relating to a different food type or ingredient. 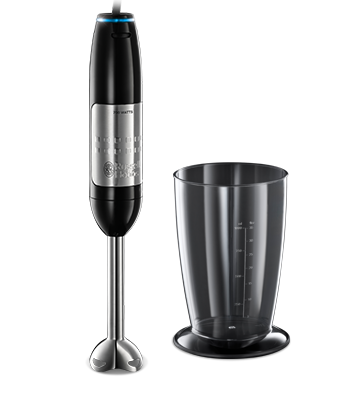 700w of power with a detachable stainless steel blending leg gives quick results and is easy to clean. Titanium coated blades will stay sharper for longer. 4 variable speed settings .